With the businesses highly reliant on all forms of advertising to improve their sales, outdoor advertising continues to occupy a special berth in the sector. And what can be a better medium than running the commercials on large, game-changing LED screens? With the help of LED screen rental in Dubai or any major cities across the world, outdoor advertising can do wonders to your business. We are VRS Technologies, who provide LED screen rentals in Dubai for running outdoor advertising campaigns to tapping their use in airports, restaurants, malls, etc. Be it any form of advertising – online, running commercials on TVs, or creating videos, the value of outdoor advertising cannot be undermined. No matter how influential the advertisements are, the medium which is used to present the advertisements play an important role in creating the impact. LED screens are known for their superior brightness, sharpness, and precision among all the other display screens available today. In contrast to the traditional billboards and hoardings, the LED screens are more likely to grab the attention of the trespassers. Once again as opposed to the static displays, the LED screen rentals in Dubai offer the advantage of displaying a wide variety of content at a specific time. For example, a restaurant can run dinner special menu during the evening hours and advertise the upcoming night-time entertainment during the day-time as a teaser to attract customers. A simple Wi-Fi connection offers the flexibility to operate LED screens from remote locations. Feeding the content on the LED screens is merely a child’s play. Sitting right in the restaurant, you can control the content you wish to display on the LED screens located a couple of blocks away. Creating attention-grabbing content is in your hands. Running an eye-catching, flashy display on the LED screens placed right out of your restaurant or any business has the capacity to attract more eyeballs. While the vinyl displays, billboard or hoardings need to be changed very often for running different advertising campaigns, the LED screens is a one-time investment. Moreover, the LED screen rentals cut down the cost factor and hence results in a higher return on investment. 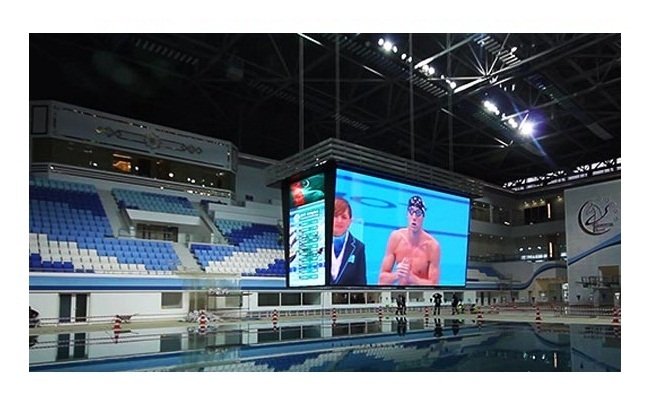 The LED screens are the low maintenance electronic display screens which do not need any special care or attention. LED screens are popular for longevity, which are known to function for years together without affecting the brightness levels. Unlike the billboards which are easily perishable, the LED display screens are highly damage-resistant. For tapping the amazing benefits of LED screens for outdoor advertising, contact VRS Technologies for LED screen rentals in Dubai at +971-55-5182758 or visit our website www.vrscomputers.com for more information.